Okay, so I’ve been in Dresden since Thursday and haven’t written anything about it yet (except for my new shoes I bought here). But I will. 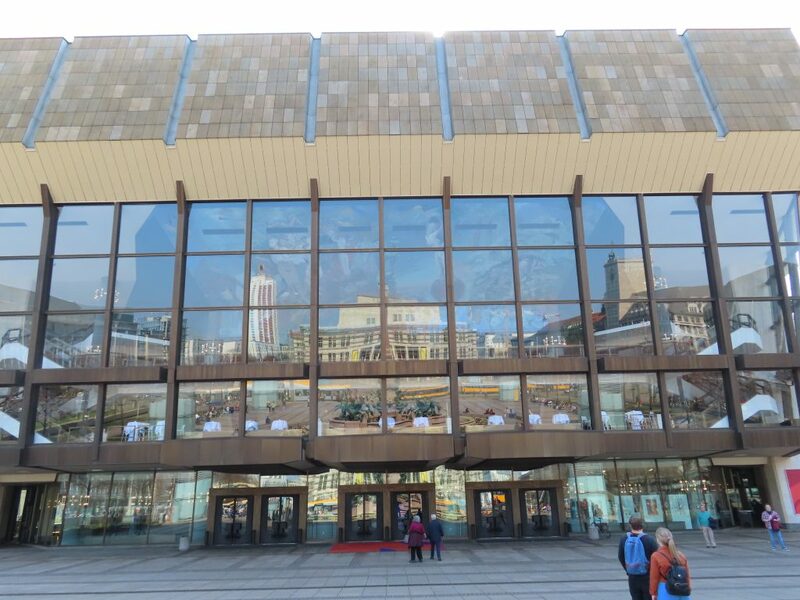 Yesterday I went to Leipzig, so since that’s over and done, I’ll write about that first. It was a spectacular day. In fact, every day of this trip so far has been perfect weather‐wise. Sunny, highs in the mid‐ to upper‐60s. Cool nights. Couldn’t be better! I looked up the trains on line but decided to go to the train station to book. It was about an hour and fifteen minutes each way, and it cost an exorbitant amount: over 60 euros. I considered not going. 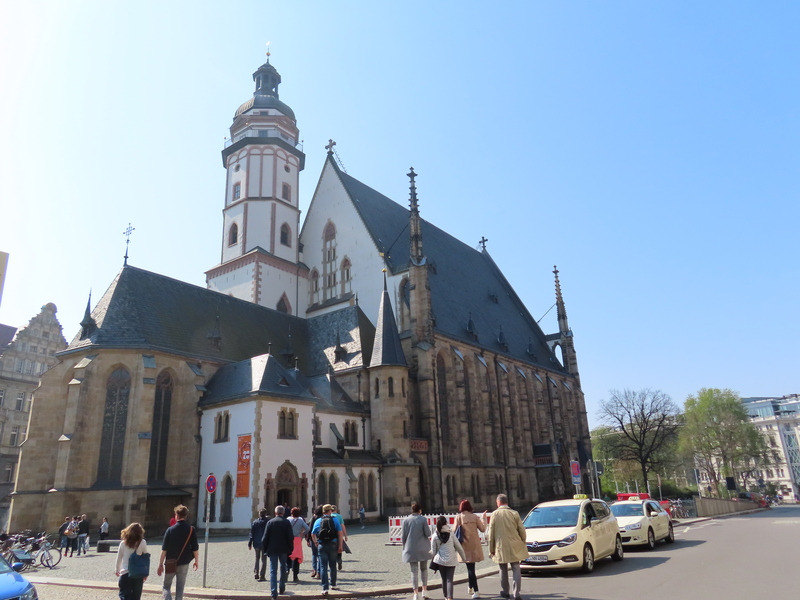 But Leipzig has been a bucket‐list destination for a long time for one particular reason: Leipzig was the place where Johann Sebastian Bach lived and worked for the last 27 years of his life. It’s where he wrote most of his greatest works of choral music, including the 150 church cantatas, the Mass in B Minor, and the Passions. It was kind of a pilgrimage for me to go there. 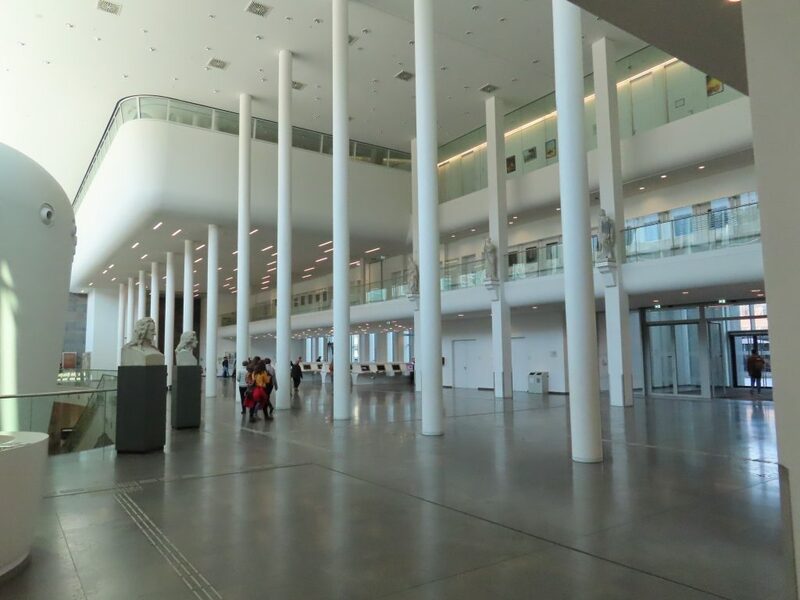 When I was in graduate school in the mid‐1980s, the idea of ever being able to go to Leipzig was unimaginable. Leipzig was in East Germany, and Americans just didn’t go to East Germany. But yesterday I found myself there, and I visited his church and even got to listen to a choir rehearsing there. To say it was deeply moving is an understatement. I experienced a moment of genuine connection across almost 300 years. To be standing in his footsteps was profound in a way I don’t know how to explain. Otherwise, I found my visit to Leipzig to be highly enjoyable. 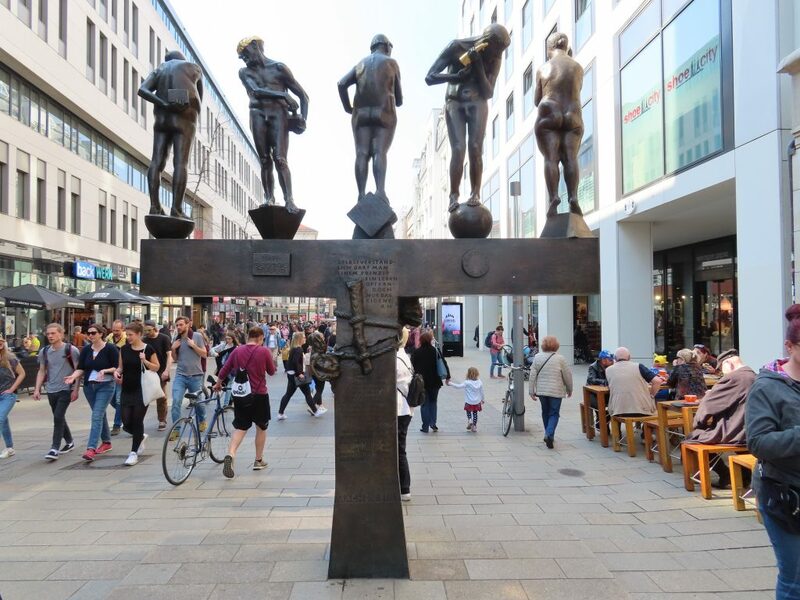 It was a really fun city to wander around, not anywhere as pretty or charming as a lot of other places, but filled with Leipzigers (Leipziggians?) just doing life. 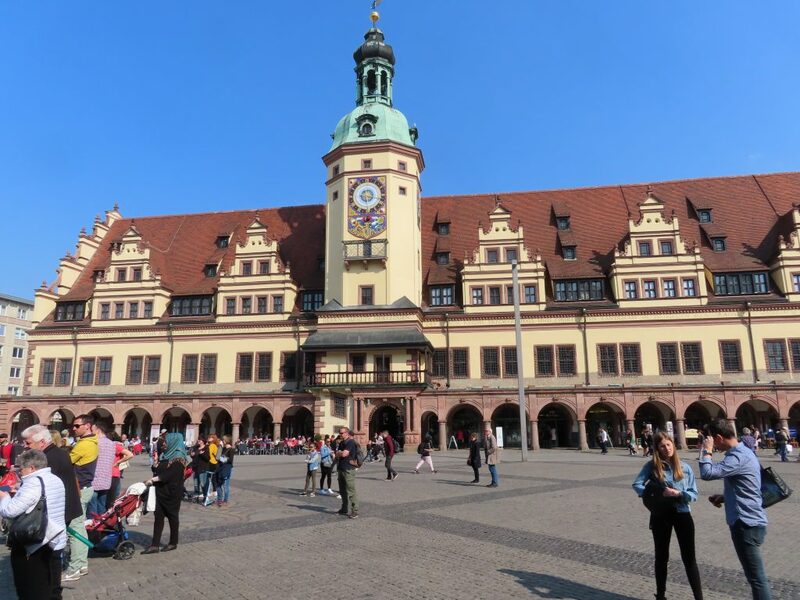 In addition to visiting a couple of museums and churches and the university and the lobby of the Gewandhaus, I bought a bratwurst from a street vendor and an ice cream from another. And I went shopping. There’s a pedestrian‐only shopping street, and there are also a number of galleries, small archways that lead into shopping arcades. I found a vase to add to my collection (something I didn’t find in Prague and so far not in Dresden either–especially because I can’t afford Meissen). It was just a fun day, and it ended back in Dresden at the Semperoper. 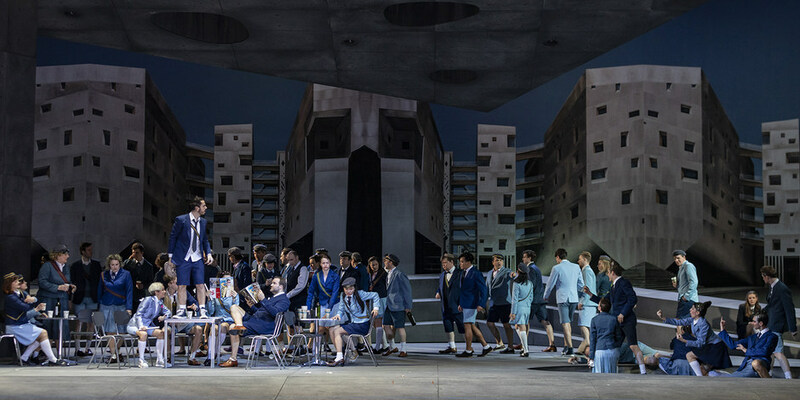 The opera was Platée, by Jean‐Philippe Rameau. What an innovative production! And brilliantly performed. It’s a story about an ugly marsh nymph, Platée (the role is sung by a man), who is used in a stunt to convince Juno that her jealousy of Jupiter’s philandering is unwarranted (because why would he ever want to philander with such an ugly creature?). The staging, costumes, dance, were all over‐the‐top bizarre in the best possible way. In the prologue, students decide to tell the story of Jupiter, Juno, and Platée. Sounds like a great trip, especially Bach’s church, how special!